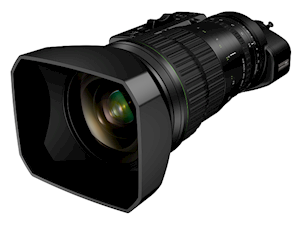 FUJINON UA46x9.5B UHD zoom lens enhanced with a fresh design is the Digital Full Servo Drive Unit, which now features 16-bit encoding for highly accurate local or remote operation of the zoom, focus or iris. The drive unit offers a “Virtual Connector,” which outputs the lens’ positional data. The lenses employ the latest High Transmittance Electron Beam Coating (HT-EBC), resulting in richer colors and greatly improved blue response and transmittance. They both achieve 4K UHD optical performance from center to corner throughout the zoom range while suppressing image distortion, due to a multi-group zoom system. Availability for the UA46x9.5B and UA46x13.5B is planned for late 2018.